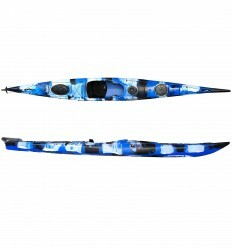 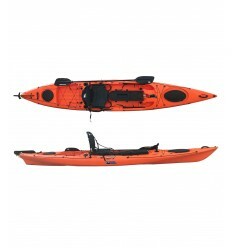 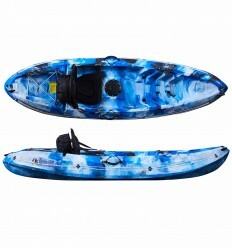 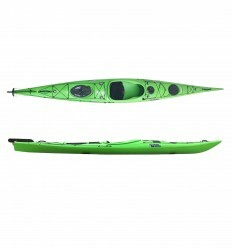 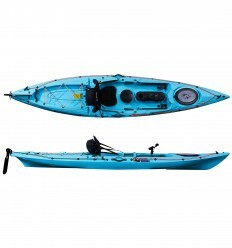 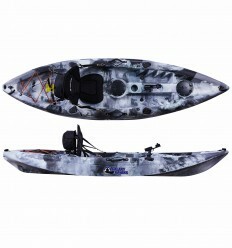 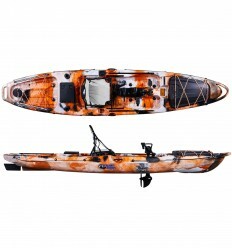 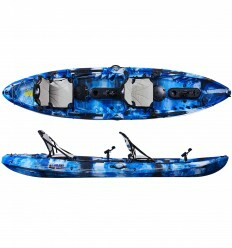 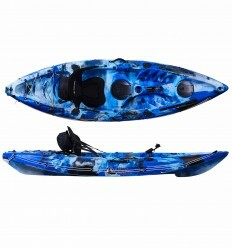 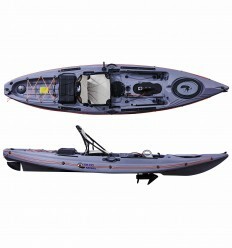 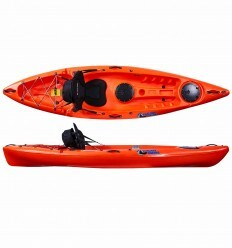 This two-piece kayak paddle is lightweight and adjustable so that it fits the users preference. 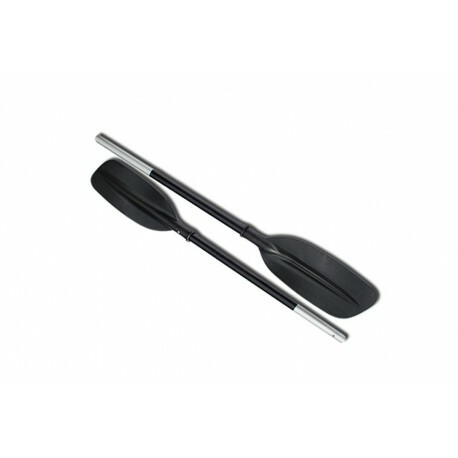 This paddle comes with a silver aluminium shaft with a black rubber non-slip coating over the grip area of the paddle. 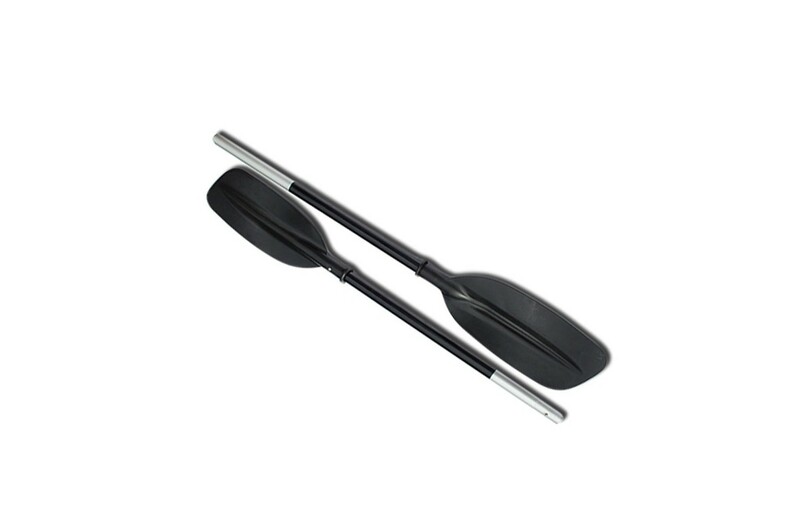 The rubber grip comes in a slightly oval shape on one side to help fit the mould of your grip. 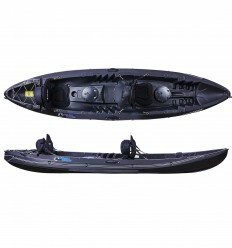 It has black polyethylene blades that are gently curved to increase the friction when pushing through the water. 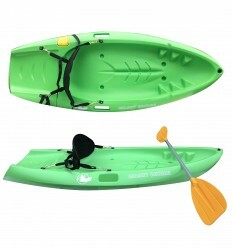 The shaft of the paddle includes an easy button click system to attach or remove the two parts. 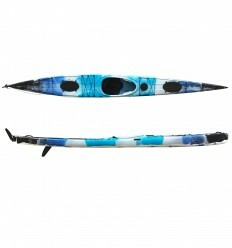 The two pieces can be clicked into place in two positions that adjust the angles of the two facing blades. 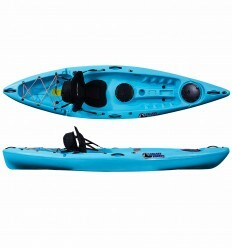 This allows you to have the blades set at the horizontal position or off-set depending on your preferred paddle style. 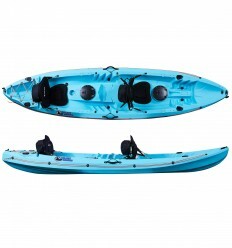 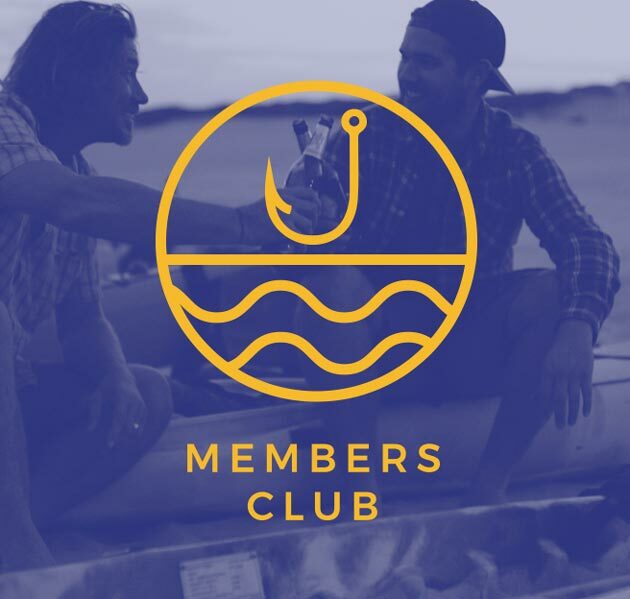 Lightweight and easy to store, this is the perfect companion to your sit on top kayak.